This is the Magic Bus. I have seen it a few times but this is the first time I photographed it. Karen was driving my van at the time and I shot it through the windscreen with the camera shutter set to 1/1000sec. I used Photoshop to remove some reflections. 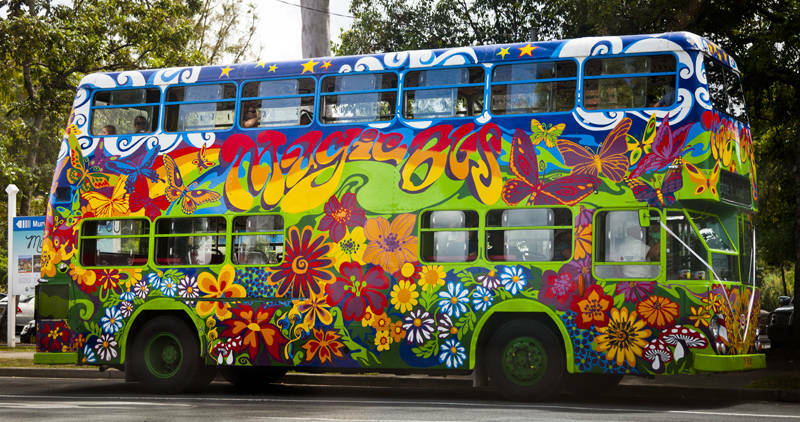 This 72 seat double decker is a bus for hire, servicing Byron Bay, Gold Coast and Brisbane.